All night I had terrible, angsty dreams. Normally my dreams are fairly swashbuckling - if there's some horrible monster it inevitably happens that I'm uniquely prepared to defeat it - and with a flourish, too. But not last night - I don't remember the particulars, but I remember trying and trying and trying to fight against some monster..but nothing I tried was to any effect. At least I didn't run away - I stood my ground. So I wake from that, and I'm feeling a little rattled, a little hopeless. And then I step outside. There's an off-shore breeze blowing today. The sky is flawlessly blue, utterly untrammelled by even the hint of a cloud. The surf is high and roaring - each white-capped wave a surging lioness trying to leap higher than each of her predecessors. The wind carries the scent of the sea to me, briny and peaceful and alluring. Every flower imaginable is in bloom - the roses, the hibiscus, the honeysuckle, the birds-of-paradise. Flowers I can't name but I know by scent, intimately, like the perfume of a lover, long-gone. The jacarandas are starting to brim over with brilliant purple flowers, and the bouganvillea is in full scarlet bloom. This splendor, this glory, this impossibly perfect beauty is a balm to any woes. I had a friend who often dreamt of monsters. He would always fight them, and would always get killed. And sometimes, he would punch holes in the wall as he slept! Wherever I settle in this world, I will have a small house with at least one sun-drenched white wall covered in this, and in the garden a small section of shade harbouring these. When I think of 'natural' flowers, these are always what I think of. 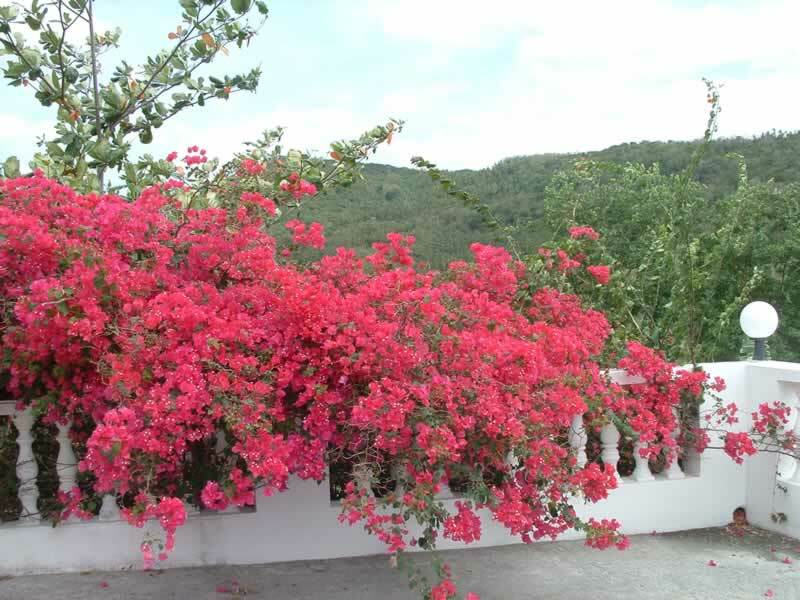 The first looks very much like bouganvillea! I'd've been inspired by someone who could name the second flower, except I've never found such a person. It grew in my childhood neighborhood, on my college campus, and even around here, yet nobody seems to now what it's actually called.